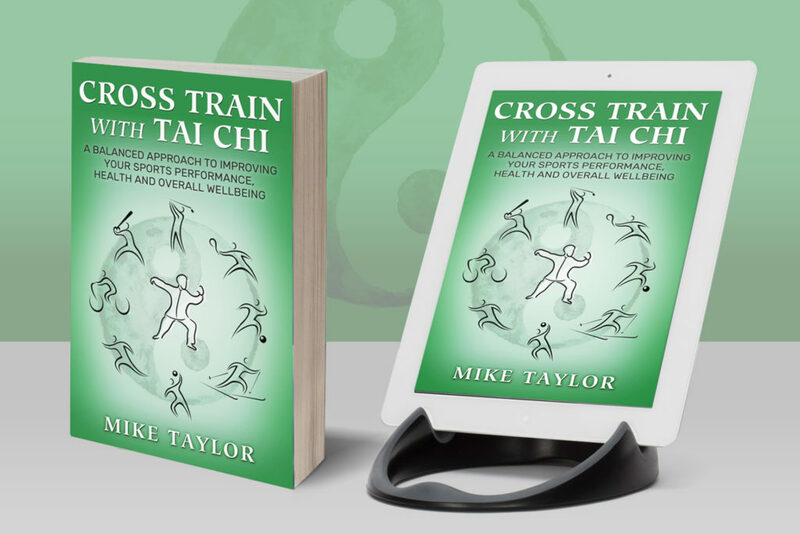 Cross Train with Tai Chi - Tai Chi Cross Training. This book is very different to 99% of cross training books written to date. Most of the information and books published focus on cross training exercises that develop muscular strength or improve cardiovascular fitness. This book outlines the relevance and use of cross training to increase both physical and mental performance, From understanding the general concept of cross training to describing how Tai Chi, and its associated benefits, provide a much more balanced approach to improving sports performance and overall health. Tai Chi’s approach to cross training is focused on postural alignment, dynamic relaxation and the complete integration of mind and body, rather than continuing with the same old ‘no pain no gain’ muscle building or cardiovascular training. Tai Chi helps to relive tension, and reduce stress and anxiety that comes with pushing yourself to improve or win. Tai Chi is an excellent cross training exercise because its goal is to cultivate a more mindful, focused, balanced and relaxed athlete capable of improving their performance and achieving their sports goals, while strengthening the body’s immune system, making it less prone to injury and illness.